An original painting & prints of Glasgow Riverside Museum & The Glenlee Sunset, Glasgow, Scotland. An original abstract, atmospheric landscape painting of Glasgow riverside Museum and the Glenlee sunset. Painting & prints of Glasgows riverside Transport museum, Glasgow, Scotland by Andy Peutherer. Framed prints of the riverside Transport museum, Glasgow, Scotland by Andy Peutherer. 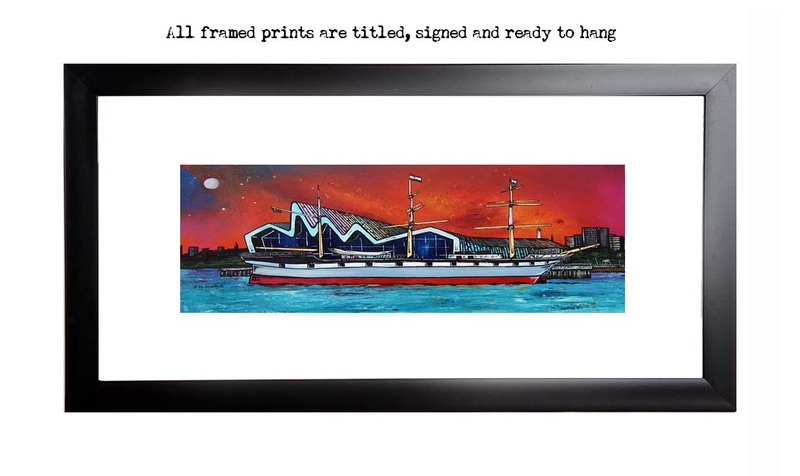 Paintings & Prints Of Glasgow - Riverside Museum and The Glenlee Sunset, Glasgow, Scotland. - original painting, prints & commissions.